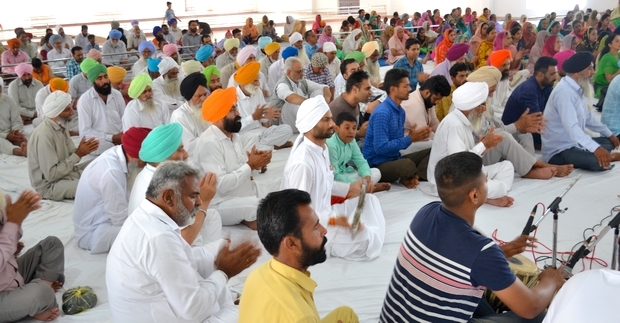 30 March 2019, Shabad Surat Sangam Ashram, Malke, Moga: Like every year, once again devotees had gathered around to celebrate the Nirwana diwas of Bhagat Jagat Singh Ji. There might be a question here, i.e. why is it that we celebrate these days, or in other words remember those every now and then to whom we consider as a great being? What’s the point? Let’s find it out! Often people could be heard saying that to take a leap towards self-realization is almost next to impossible for a householder. Here we have Bhagat Jagat Singh Ji as an excellent example to take our myths down allowing us to hug reality. He, being an agriculturalist, a husband, a father and the eldest in a family comprising of almost 40 members (yes! that’s right, 40 members!) fulfilled each and every duty of his very much honorably. But what made us remember Him even today is some of the principles He chose to abide by throughout his lifespan and therefore is a source of great inspiration for one and all who genuinely aims to go within, who understands that we are not here to just die off one day and who genuinely act rather than just day-dream. 1) No matter what, why or whom, He placed His master and His teachings on the topmost priority on all the three levels – Mansa (mind), Vacha (speech), Karma (actions)! 2) It is ok to work to earn wealth but one must do so honestly and surpassing greediness. 3) It is ok to support the family but without discrimination or attachments. 4) One must respect another woman as one’s own sister or mother, and nothing less. Almost throughout the day he would be occupied in one service after another, but with the dusk approaching, he would engross himself in japa-dhyana. So, the whole purpose behind celebrating Nirwana diwas is to own clarity that if He could take the leap, so can we. 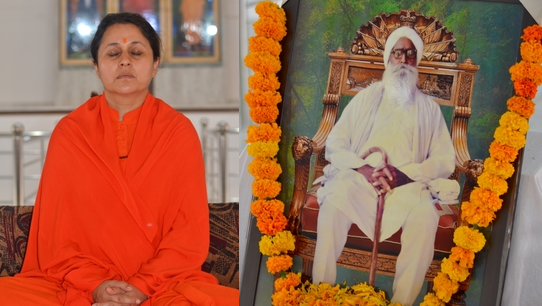 Even In Patanjali Yog sutras, it is mentioned that ‘veetrag vishyam va chitam’, i.e. if we keep on pondering about a respective Godly being then over the time, we tend to cultivate similar demeanor. The choice is ours!